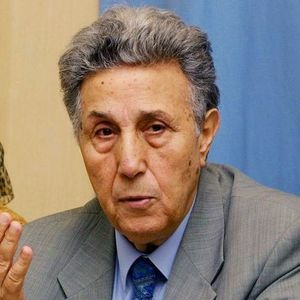 When they learned they were marked for assassination, Parvaneh Limbert and her husband John — the political section chief at the U.S. Embassy Algiers — had to act quickly and quietly. They hurried out of the country, surprising family and friends back home, and stayed in the United States until the would-be killers were arrested in Italy. The assassins reportedly belonged to a group of supporters of Ahmed Ben Bella, the first president of Algeria. Ben Bella led the National Liberation Front, which waged a long and violent war against France to secure Algeria’s independence. After the war ended in 1962, Ben Bella quickly established a one-party state. He was deposed by defense minister Houari Boumediene in 1965. 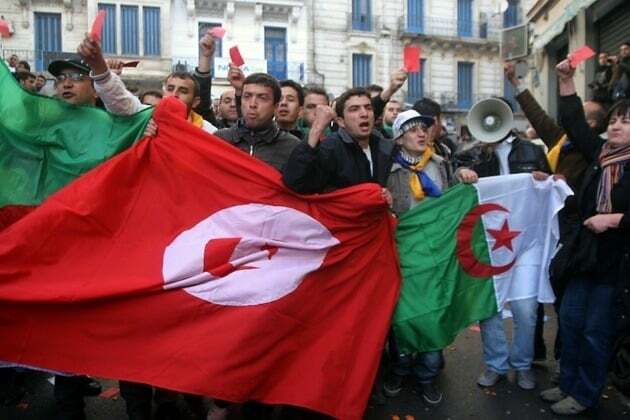 Algeria remained under a form of military rule for the next two and a half decades. In 1988, while the Limberts were posted in Algiers, riots against the one-party system rocked the country. A group of Ben Bella’s underground supporters reportedly decided to assassinate Americans as a method of hurting the government’s credibility. Luckily, the Limberts were notified of the plot against them and managed to get out of the country in time. Parvaneh Limbert’s interview was conducted by Charles Stuart Kennedy on August 23, 2016. Read Parvaneh Limbert’s full oral history HERE. Discovering the Assassination Plans: At the end of the second year, one day I was working in the DIA [Defense Intelligence Agency] section, downstairs, and I saw John [Parvaneh’s husband] with the Security officer come in and say, “Parvaneh let’s go we have to go home early and we have to pack and leave.” I said, “What’s happening? Did you get into argument or something?” He said, “No, I will tell you. Let’s go.” The security officer said, “Yeah, let’s go and we are trying to get a ticket for you tonight both of you to fly out.” I said, “Fly where?” “Fly to Washington.” I said, “Is anybody dead, something happen?” John said, “No, I will tell you.” I said, “Okay. But I have to go to Geneva first because Algiers was two hours to Geneva and I have to go to Aiglon College I want to see our son before I go to the States and I want to tell him I am going to the States. Otherwise he will get worried.” Our daughter was in college in the U.S. and we could tell her there. We went home and John said, “Yes, we got a report they are going to assassinate us and the other (young) political officer. We need to get out.” The ambassador said, “Get out soon.” We talked to the State Department and they said, “Let them get out.” John and me and John’s assistant political officer, those three were named to be assassinated. It was a threat from a group of Ben Bella’s supporters. They opposed the current Algerian government and [wanted to] embarrass it by killing Americans. Evacuating the Country: We said, “Okay.” Then we went home and packed and we left the house at nine o’clock. We went to the airport, we flew to Geneva and we went by train and bus directly to the school and it was midnight. When we got to the school everybody was sleeping. We went there and got the housemaster of our son’s dorm, and he opened up and said, “Oh my God what are you doing here?” We told him the problem, that we have to go to the States and we want to let you know if our son asks you let them know. We waited until the morning when our son woke up and we told him we are going to Washington. He was worried why we were going. We said, “Nothing happened, we have something to do at the State Department.” Then we went to the States. We went to the States and the embassy and department said, “Okay, you stay in the States until we give you clearance to go back.” We travelled on Thanksgiving Day. I remember that at noon we got to Dulles Airport. We called John’s sister and said, “Hello, happy Thanksgiving.” They said, “Oh sorry unfortunately you are not here we are having all the family here.” To which we said, “Oh, we are here, we are in Dulles we are coming to your place.” They were surprised and we went there. Our daughter had joined them from college and we gave her a modified version of the story. Every day John was talking to the State Department going and finding out what’s going on. They were worried, “What’s happening, what happened?” It took a week we didn’t go back, two weeks we didn’t go back and John’s family kept asking, “What happened John? Are you in any trouble at the embassy? They kicked you out?” They were worried and we couldn’t say what had happened we didn’t want to tell them what happened. We said, “Oh, it’s all okay.” Then we went to California, visited my family again and we stayed there. They kept saying, “Why are you here in the middle of the year? What’s going on?” I said, “Nothing, we have leave they gave John another leave.” Anyhow, it took about two months until they found those people in Italy — in Rome. They arrested them . . . then everything was open. They gave us our release and we went back to Algiers.